Housing are machined to accommodate precision bushings, which are installed with a press fit. Bearings are then drilled and tapped for a setscrew to ensure no radial or lateral movement of bushing material. Economical. Can be used in applications where access is not a problem or where cost does not warrant the use of the more expensive 2500 series. The bearing can be lined with babbit, urethane, zinc aluminum or bronze bushings. Bushing material can be replaced with readily available stock. Available in Babbitt, Urethane & Bronze bushed. Grease fittings are at 45 degrees & countersunk into casting prevent damage. 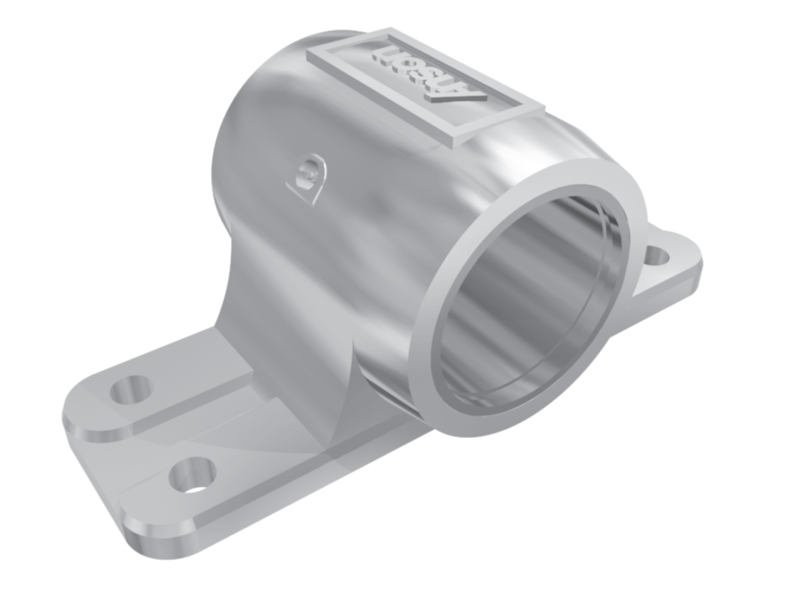 All bearings have ductile housings, and have machined mounting surfaces.